One of the benefits of hand-made paint, is the ability to customize paint any way one desires. Working with a fairly limited palette, I find myself frequently mixing the same colors in the course of a painting. Why not streamline things, by having these colors conveniently available, premixed in a tube? The first example was inspired by a tube of "Naples Yellow" I had on hand from Old Holland. This is not a true Naples Yellow, not even close. I found it very useful however, for painting flesh tones. Old Holland lists the pigments that makes up their colors on every tube of paint. 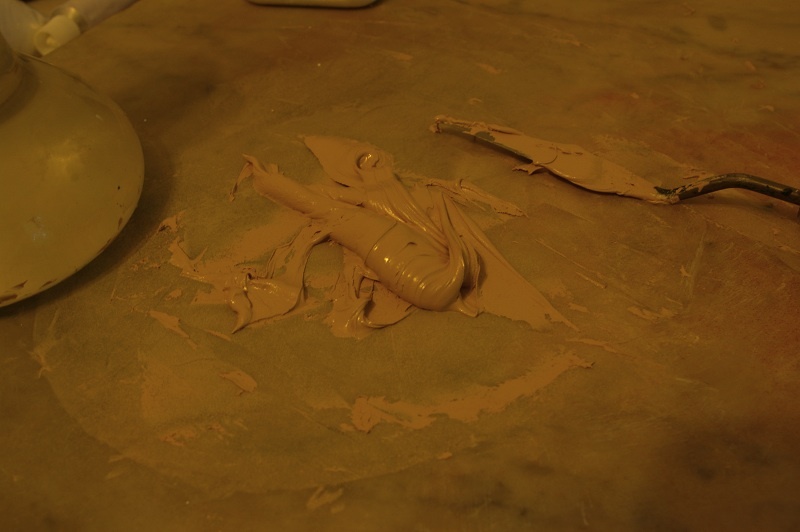 The color in question was a mix of Synthetic Yellow Iron Oxide, and Titanium White. My color was very similar, combining a pale French yellow ochre, mixed with white. The next example was a different kind of experiment. My intention was to see if I could create an close replacement of Vermillion/Cinnabar, for situations where I didn't have the genuine article. The exact qualities of the color cant be duplicated so I would call this an approximation rather than a substitute. Vermillion has the contradictory qualities of being both intense, yet capable of subtlety. This makes it excellent for the tints used in flesh tones. 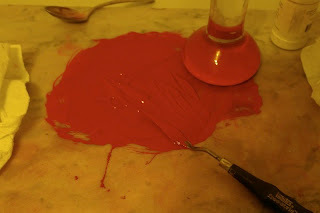 Cadmium red by comparison, comes on strong, yet fades much more quickly in mixes. Modern imitations usually rely on Cadmium Red for the base color with small amounts of Synthetic Organic red to improve its chroma in tints.